I wonder what this farm site would have looked like just a couple of years ago. I ran across this fallen weathered building near Lake Benton, MN last summer. The windmill aside from missing the blades looks nice and straight. 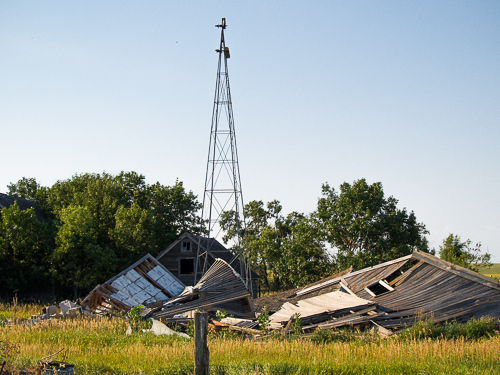 This entry was posted in Uncategorized and tagged copyright ryan ware, decay, farm site, rural decay, windmill. Bookmark the permalink.